How do you share your hybrid app during development with the client, colleagues, or even just friends to get feedback? It’s not simple. Luckily there is a much simpler and faster approach. The app has a login screen so you might wonder how this is simple if you need to create any another account. It’s true that when building an app in Appery.io you can put together a team of developers and they will have access to your app and will be able to run the app in the tester app. But, there is even a simpler way to run the app — and you don’t need to have an account. 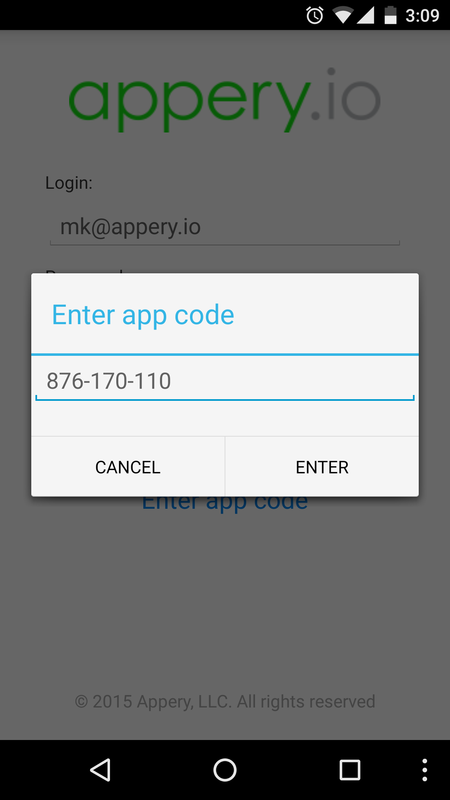 Share this code with anyone you want, all they need to do is download the free Appery.io Tester app for iOS or Android. On the first screen they click “Enter an app code,” enter the code you gave them and the app will be launched on their device. All your clients, colleagues, or friends have to do is install the tester app already available in the app store and now they can run and test any app you build by simple entering a share code. If for any reason you need to turn off access to a particular app, you can delete the share code. Also, every share code has an expiration date and comment field. This is the simplest way to run and test the app without installing on the device. If you liked this and want to develop fast, quickly sign up for the platform. 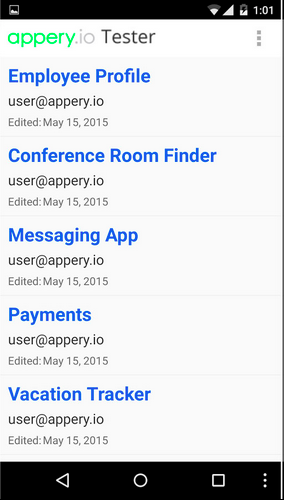 What is the Appery.io Tester App? Mobile Testing Coverage Strategy: OS Families vs. Minor OS Versions? Published at DZone with permission of Max Katz , DZone MVB. See the original article here.